To be a leader in waste resource management for the communities we serve. Integrity: We are open, honest, and ethical in all our communications and actions. Respect: We give thoughtful consideration to each other's differences and opinions. Valuing People: We are committed to collaboration and teamwork as we work to remain an employer of choice. Ownership: We are empowered to take the initiative while embracing new technologies and sustainable business practices. Responsibility: We are accountable for our behaviors, actions, and use of the public resources entrusted to our stewardship. Leadership: We lead by example and provide opportunities for advancement. 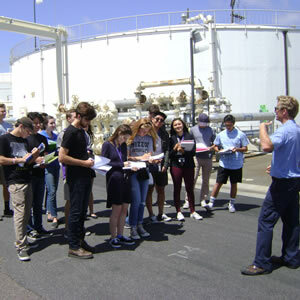 Encina Water Pollution Control Facility. Agua Hedionda and Buena Vista Pump Stations. EWA also manages and operates other regional water recycling and pumping facilities for their owners, including the Carlsbad Water Reclamation Facility, Buena Creek Pump Station, and the Raceway Basin Pump Station. The EWA System represents a significant infrastructure investment. Since 1980, the members of the Joint Powers Authority have invested over $600 million to protect the economy and quality of life for North County residents and businesses. EWA’s pledge is to be a model of excellence and innovation. This pledge is exemplified with its commitment to meet or exceed the requirements of its ocean-discharge permit 24-hours-a-day, 365 days-a-year. The result: Encina has achieved over 3,000 consecutive days of compliance. Meeting these high standards calls for a workforce that is not only highly qualified and trained, but certified to perform their technical and managerial duties. The EPA has recognized EWA as a national leader in green power production since 2011. 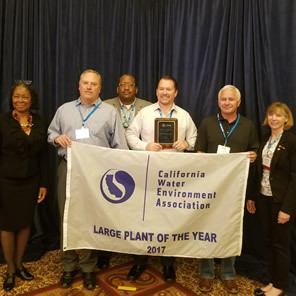 The California Water Environment Association named the Encina Water Pollution Control Facility “California’s Plant of the Year” in 2005, 2011, 2013 and 2017. The EPA recognized EWA’s Biosolids Management Program as the nation’s best in 2006. Due to its comprehensive strategic planning efforts (2023 Strategic Business Plan) and asset management plan (E-CAMP), EWA is positioned to continue providing exceptional service for the foreseeable future.